London – Firepower (RA Museum), Woolwich. No. 10366 Sgt FORD G.R. Text type: Hand Painted onto wood. Condition: Partial cross, beam only. Could be part of a circle as the ends appear to curve. Wall’ (from the communication trench Known as the Great Wall of China), or Halfway House Cemetery. George Ford also appears on the Petworth War memorial. And has been subject to some basic research here Midhurst U3A WW1 War Memorial Project in the Rother Valley. 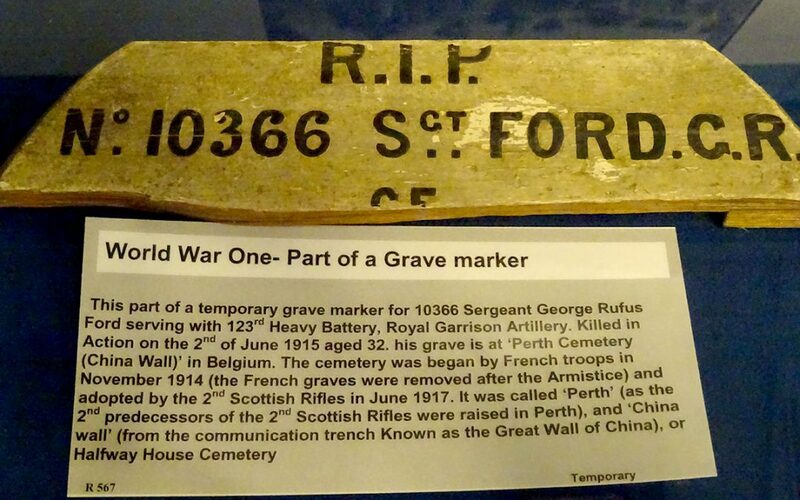 There may be a second cross at the Royal Artillery Firepower museum, confirmation required.